Dutch education authorities are striving to ensure high student performance by raising teachers' professional qualifications and enhancing their teaching skills. The Dutch constitution guarantees freedom of choice in education, with no differentiation in terms of public funding support between state-run and privately run establishments. Any individual or organization can set up a school and receive government funding, so long as numbers of pupils enrolled exceed minimum threshold levels and the project is deemed to correspond to local needs. The result is a system centered on the user, in which parents and children enjoy nationwide free choice of independent or government-run schools. Education is compulsory from age five, but children can start school at age four. Primary education ends at age 12, in most cases with a standardized test that determines, in conjunction with advice given by the school to each pupil, what type of secondary education he or she will follow. Secondary education is divided into three tracks: pre-vocational education (VMB0) lasting four school years; senior general secondary education (HAVO) lasting five years; and pre-university education (VWO) lasting six years, with a choice between the "Gymnasium", which has obligatory Greek and Latin, and the "Atheneum", where neither Greek nor Latin is compulsory. Around 70% of pupils attend independent schools, often run by faith-based organizations but also by religiously neutral organizations, including some that follow particular pedagogical philosophies, such as Steiner and Montessori schools. Schools are free to decide on teaching methods, choose course books and materials, and appoint and employ personnel as long as wage and teacher qualification rules are followed. They are also free to decide on the content of 120 teaching hours every year. All young people up to age 18 must attend school until they attain a basic qualification. Strong efforts are made to combat truancy and absenteeism, and more than 90% of pupils remained enrolled in education until at least age 17. Options such as combining work and study have been explored for those that reach 18 without a basic qualification. Teachers in the Netherlands are well paid in comparison with teachers in many other OECD countries but earn less than the average for Dutch full-time workers with tertiary education. Teacher pay and working conditions are negotiated through a combination of nationwide collective bargaining and individual negotiations at school level. Teacher pay and working conditions are negotiated through a combination of nationwide collective bargaining and individual negotiations at school level. The government pays the full cost of schooling for each student, with additional amounts for students from disadvantaged families. Payments per student are equivalent to 1.30 times the basic amount per child for students where neither parent has achieved more than prevocational education, or 2.20 times the basic amount per child for students where one or both parents has achieved at most primary education or a specific form of special education. Schools located in disadvantaged areas receive further additional funding. The Netherlands has made significant efforts to build a high quality and equitable education system. The mean performance of Dutch students in the 2009 PISA tests was above the OECD average, while the impact of students' socio-economic background was below average. However, immigrant students showed much weaker skills than native Dutch students. In 2006, only 5% of 15 year-olds in the Netherlands planned a career in engineering or computing, the lowest proportion in all OECD countries. The average for OECD countries was 11%. Public spending on education in the Netherlands rose to 5.9% of GDP in 2009, slightly above the OECD average of 5.8%, from 5.0% in 2000 (OECD average 5.2%). In the 2009 PISA tests, Dutch students scored an averaged 508 points in reading, 526 points in mathematics and 522 points in science, putting the Netherlands among the top 10 OECD countries. Around 27% of students indicated that they had repeated at least one school year by the time they reached age 15, above the OECD average of 13%. The socio-economic characteristics of students attending independent and government-run schools did not vary significantly, but students at independent schools tended to perform better on average than those at government-run schools. In 2010, 83% of the Dutch population aged between 25 and 34 had completed upper secondary education, marginally above the OECD average of 82%, while 41% had attained tertiary education, against an OECD average of 38%. 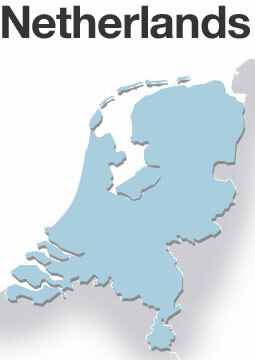 Quality of education ranks high as a social concern in the Netherlands. Education policy is a subject of constant public debate. Although Dutch school students are among the top performers in OECD countries, recent international assessments have indicated some slippage. As a main element in its policy response, the government has launched a drive to raise teaching standards and the professional qualifications of teaching staff. The Dutch are looking to professional teacher organizations to play a key role in this process. Schools in the Netherlands enjoy extensive autonomy, with 86% of decisions taken at the school level, the highest proportion in OECD countries. The role of the Ministry of Education is limited to setting standards for teacher qualifications and organizing national tests and examinations at, respectively, the end of primary and secondary schooling. It seeks to work closely with teacher organizations to implement and monitor the effectiveness of policies. As part of the drive to raise teaching standards, teachers are increasingly being encouraged to learn from their colleagues through a process of peer reviews. In parallel, teachers are progressively being required to join a national teacher registry, run by a body formed by teacher organizations to monitor professional qualifications. Candidate teachers are being encouraged to study for a Master's degree, and the responsibilities of the government school inspectorate are being extended to include the assessment of teachers' skills. Other strategies include adapting content and teaching methods to meet the needs of specific student groups, including both those with learning difficulties and high achievers.